Just 2 days after spyshots of the Kawasaki Z125 surfaced, Kawasaki has now officially unveiled the motorcycle at the on-going 2015 Tokyo Motor Show. 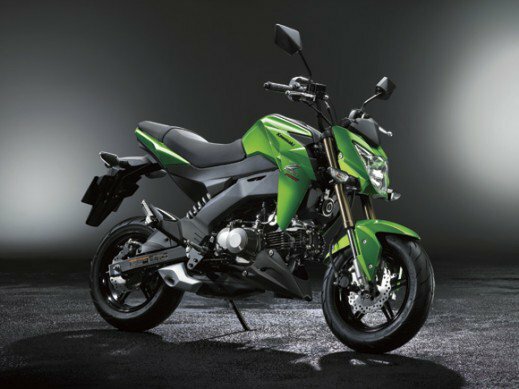 The Z125 is a compact, mini motorcycle which has recently been developed by Kawasaki and was designed only to take on the Honda Grom and MSX 125, seems like Kawasaki has done a brilliant job at it. 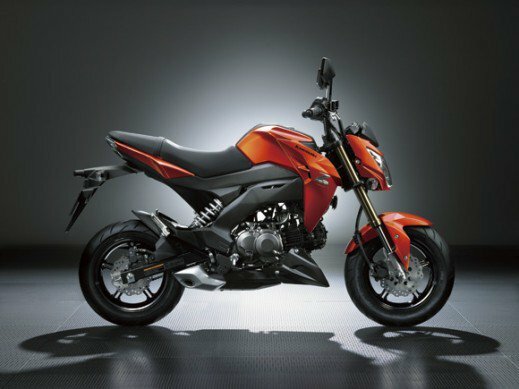 The Z125 has clearly taken inspiration from its bigger capacity Z series siblings when it comes to the styling. 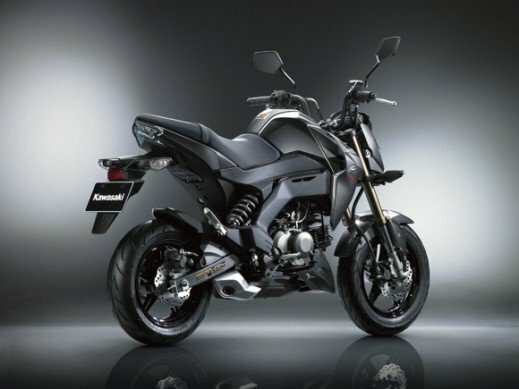 While the Honda Grom is more curvaceous, the Z125 has gone all aggressive and has design features like, a chiseled fuel tank with extensions, an underbelly exhaust system and an LED tail lamp. This is the first mini-bike from the Kawasaki stable and they have already gone ahead and made two variants out of it. Named the Z125 and the Z125 Pro, there are no aesthetic differences between them, but they do have a huge difference in the mechanical bits. The Z125 comes with a 4-speed Automatic transmission, but the Z125 Pro comes with a 4-speed Manual gearbox. Mini bikes are just to have proper fun on 2 wheels without thinking much about the consequences and they also help beginners to learn the art of riding very easily indeed, and we think the Kawasaki stands a better chance of doing both, as it comes in manual and automatic guises. Powering the mini bike from Kawasaki is a tiny, single-cylinder, air-cooled, 125cc engine with a maximum power output of 9.5 PS. Now, that may not seem like much, but is considered pretty fun to ride when one takes into consideration, the weight of the motorcycle. The Z125 just weighs 101 kilograms, which already makes the motorcycle fun-to-ride, but it is when the size of the motorcycle is considered, that we truly begin to understand how enjoyable, an experience it will be to ride a motorcycle like that. The Kawasaki Z125 is not just about pure fun, but it also does pack a punch in terms of features. Up-front, it has USD forks for suspension and a mono-shock suspension at the rear. Braking duties are carried out by a 200mm disc up-front and a 184mm disc at the rear. The Z125 gets a 100/90 R12 wheel at the front and 130/70 R12 at the rear, shod with Grippy Tires. The Kawasaki Z125 has been priced at the Equivalent of INR 1.4 Lakh in the Japanese market, which is very expensive indeed. Since Kawasaki has positioned itself as a premium motorcycle manufacturer in the Indian market, we do not expect the Z125 to be launched in India anytime soon. The Z125 has been targeted at South Asian markets like, Indonesia, Thailand, and Vietnam etc. 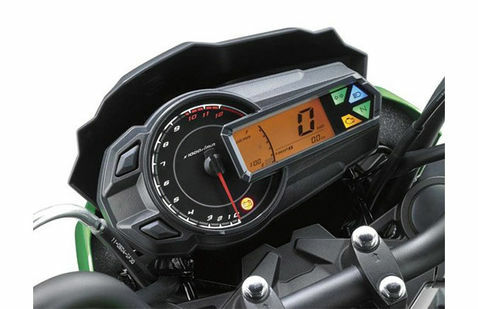 Also see: Kawasaki Ninja 150RR – will it follow, its rivals footsteps in India!